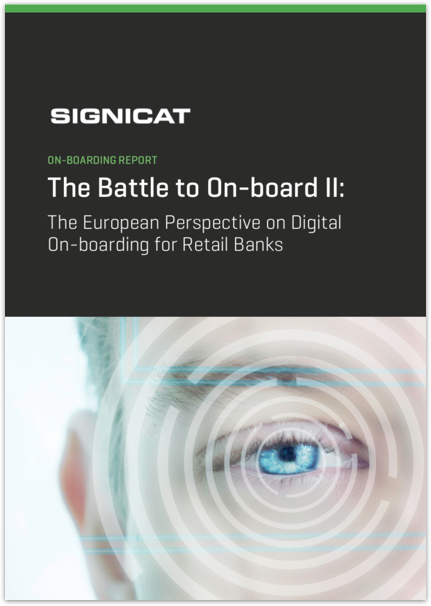 Two years ago, the first Battle to On-board report looked at how UK consumers saw the bank on-boarding process. It found that, thanks to frustration with slow paper-based processes, and poor online experiences, 50% of UK consumers had abandoned bank account applications. This follow up report examines the landscape across Europe, looking at countries with an established, universal electronic identity (eID) scheme, those without and those in the process of adopting one. It aims to understand what has changed in the last two years in the UK, Germany, the Netherlands and Sweden. Have banks improved the experience for customers? What effect does an excellent on-boarding experience have on the customer relationship? What do customers want when it comes to on-boarding and digital identity? In the UK the number of applications that are abandoned has leapt from 40% to 56%—an increase in abandonment of 35%. Consumers have a clear message for banks: identity is a problem, and we want you to fix it. Download this report to learn how.